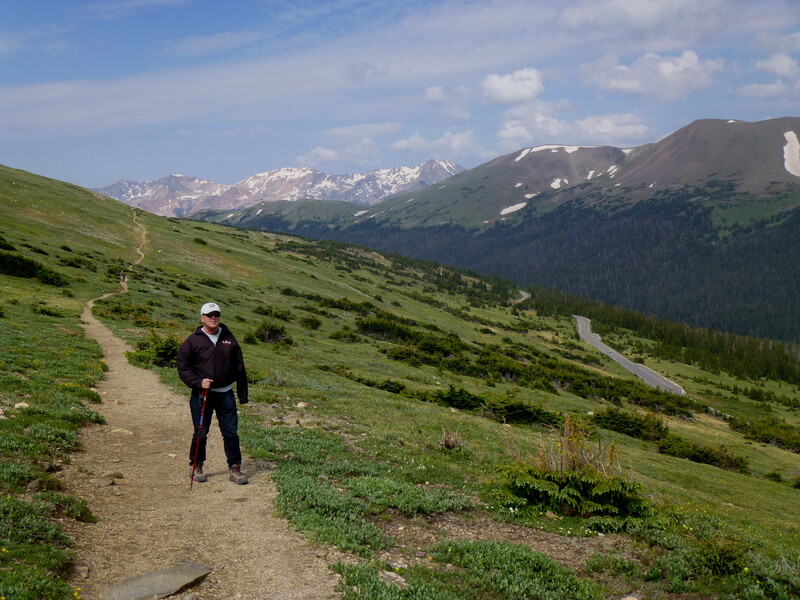 2-3 hour day hikes are sparse along Trail Ridge Road, which flirts with 11-12,000 feet, in Rocky Mountain National Park. But if you have the comforts of a “chauffeur” of sorts who can drop you off at Alpine Visitor Center and pick you up down the road at Milner Pass, this section of the Ute Trail is a superb choice. 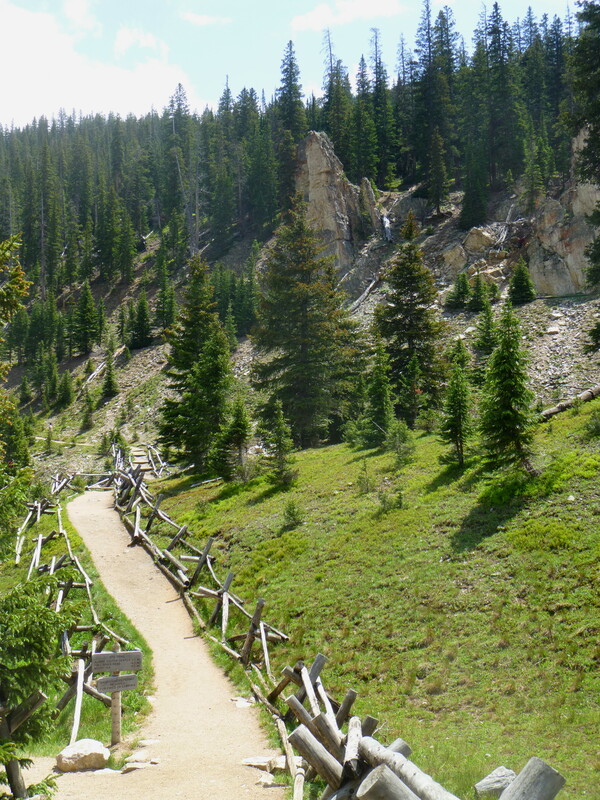 Almost entirely downhill, this high-altitude trail is all beautiful vistas, all the time. 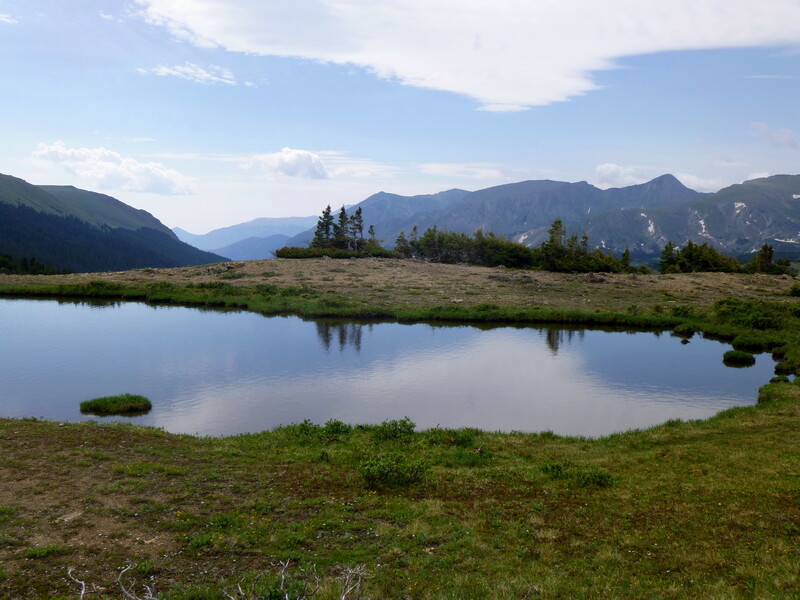 A series of pristine ponds in and around Forest Canyon Pass (around halfway down) are worth a stop, easily captured in photos with steep Forest Canyon and the 12,000-foot peaks of the continental divide beyond. To the northwest, the snowy peaks of the Never Summer Range glimmer in the distance on a sunny morning or afternoon. Again, having a vehicle (and kind driver) to drop off/pick up on this hike is a big plus. 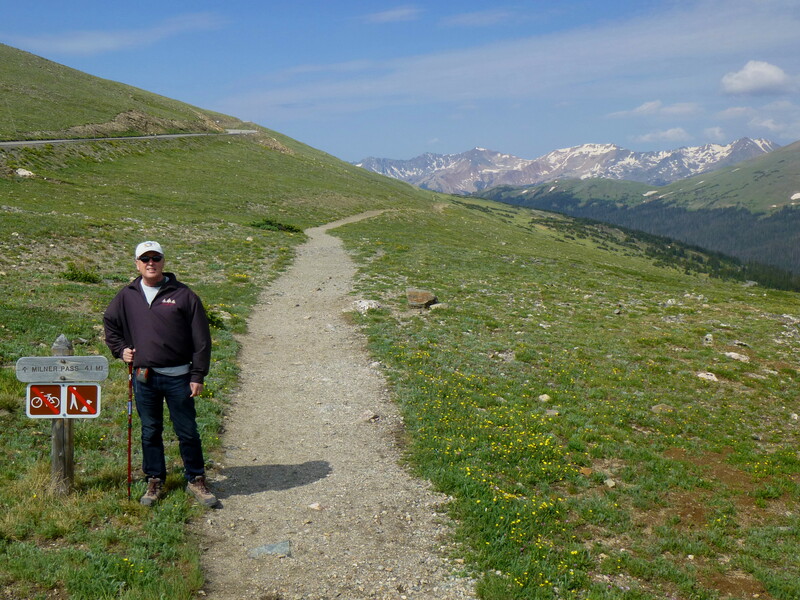 As my father and I took the trail across from Alpine Visitor Center on a Sunday morning, we were fortunate enough to have my wonderful mother and sister pick us up at Milner Pass (1,000 feet below) two hours later. 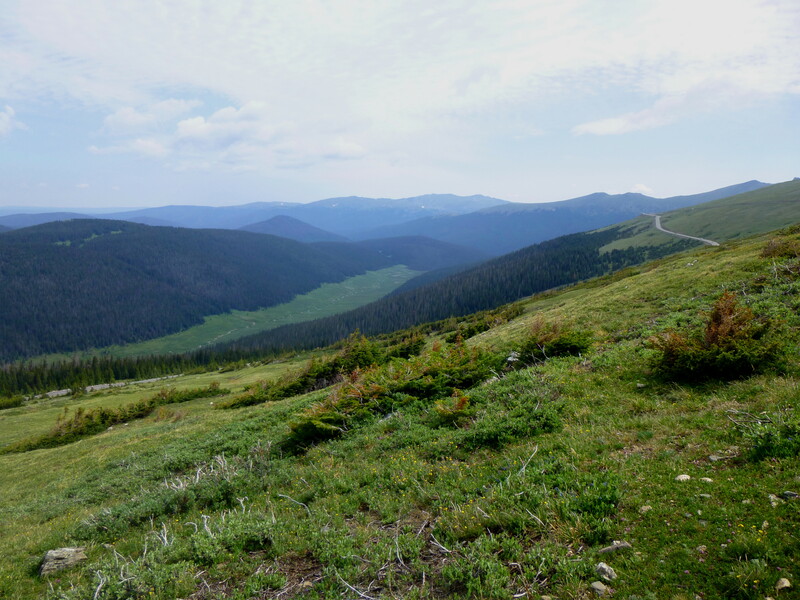 A note on the Ute Trail: if looking at a Rocky Mountain National Park map or guidebook, you will notice there are indeed two “Ute Trails” along Trail Ridge Road in the park. The first begins at Ute Crossing, to the southeast toward Estes Park, where a 6.5-mile route runs across Tombstone Ridge and down to Upper Beaver Meadows TH 3,000 feet below. (See here for my trail description of that hike.) 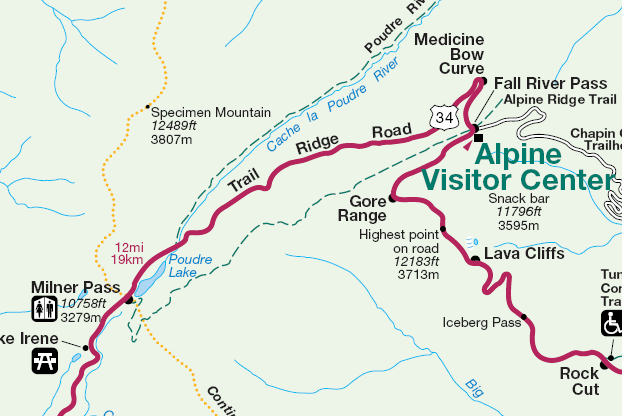 The second is this hike, which begins several miles up Trail Ridge Road at the popular Alpine Visitor Center and ends 4.5 mi. to the southwest at Milner Pass. 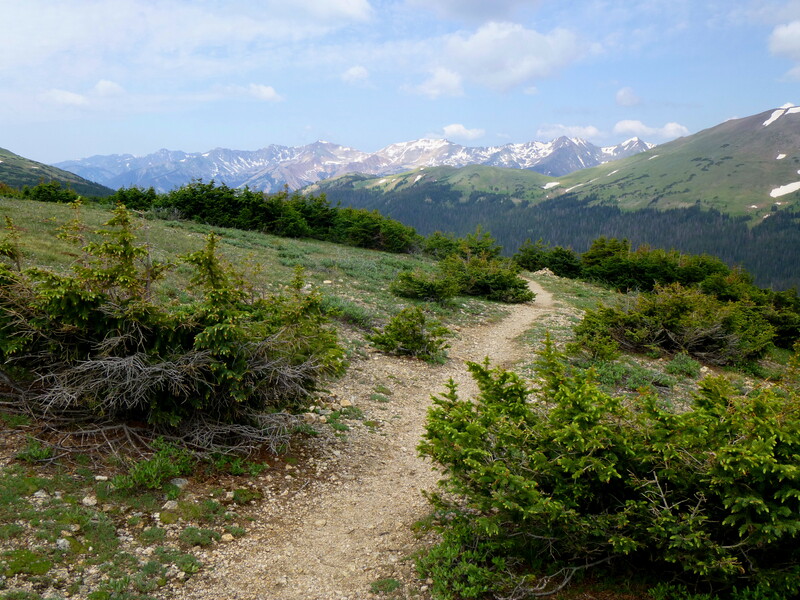 In contrast with the busy Alpine Visitor Center and clogged Alpine Ridge Trail, the Ute Trail begins with much less fanfare, denoted by a single wooden sign on the opposite side of Trail Ridge Road. 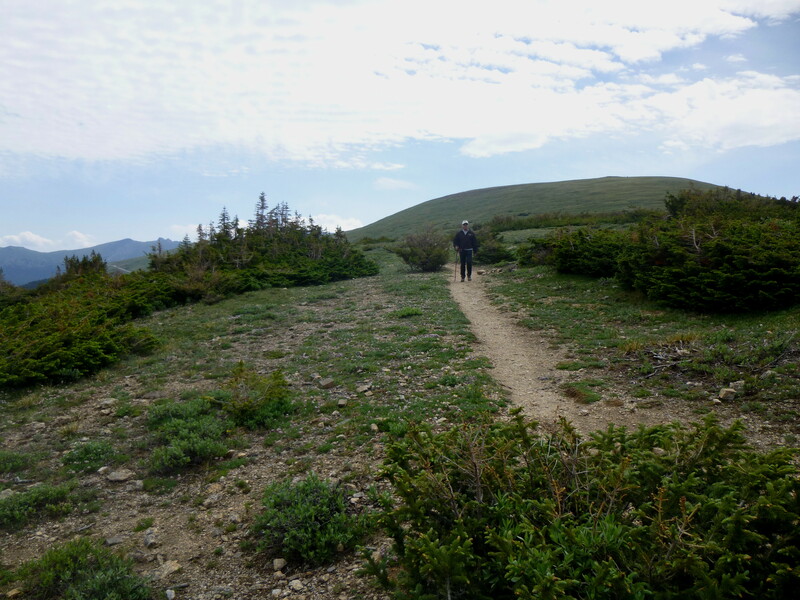 So: on a Sunday morning in July, we set off on the Ute Trail through the high-altitude tundra, 4.5 miles from our destination. 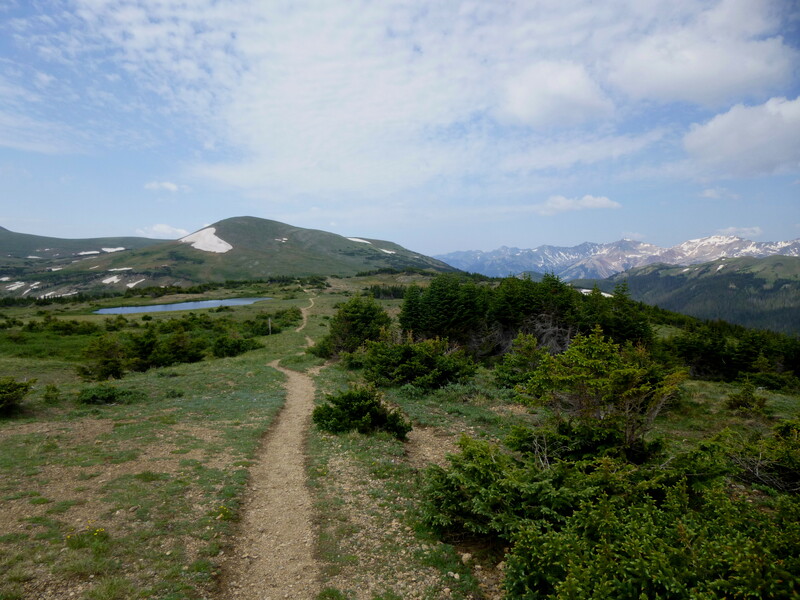 When only looking at the trail on a map, one might note that the trail follows a ridgeline less than a mile above Trail Ridge Road for essentially the entirety of the hike. But this is deceptive: within ½ mile, the road below dips out of view, leaving only a quiet and peaceful expanse of largely-deserted wilderness. Though some of the vistas are the same, taking the time to trot along the ridge by foot is unquestionably more rewarding than simply zipping past on the busy thoroughfare. And quite the vistas they are. 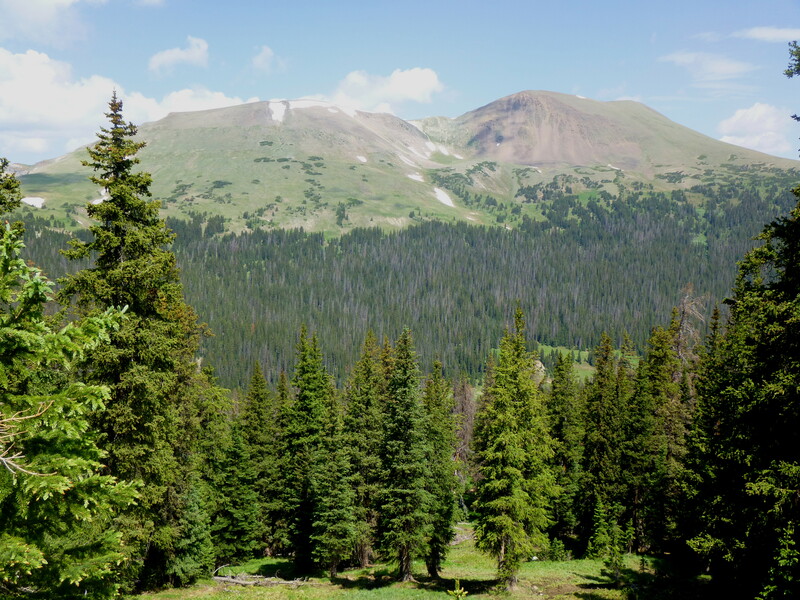 Colossal Specimen Mountain (12,429’) and mostly untouched Cache la Poudre Valley are visible to the right for most of the hike, and the impressive Never Summer Mountains to the east can be seen beyond Milner Pass. Initially devoid of vegetation (save for small wildflowers), the scenery on the ridge gradually grows more populated with small shrubs and short conifers. Though we did not spot any on this hike, I would imagine marmots are abundant. Save for one uphill section within the first half mile, the route to Forest Canyon Pass descends gradually. 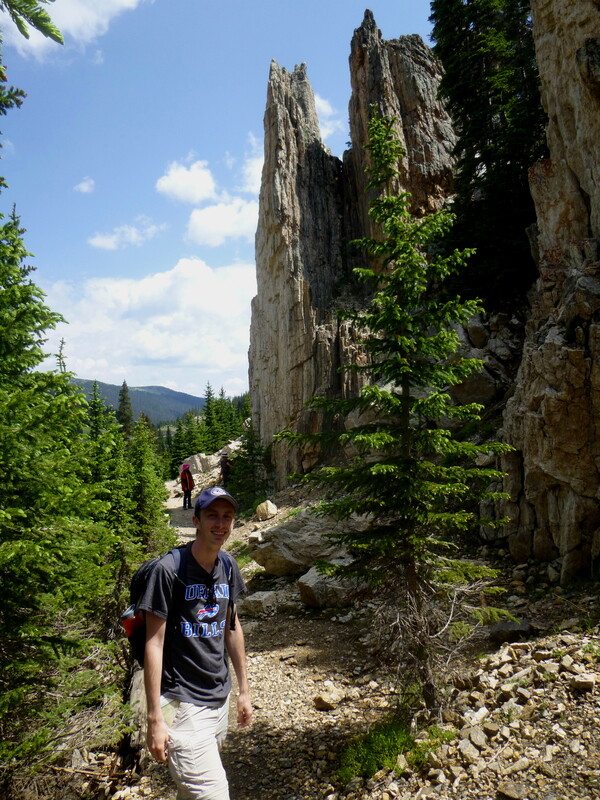 Mostly clear of rocks, the easy trail allows hikers to focus on taking in the sights, rather than watching their feet. In what seems like a blink of the eye, Forest Canyon Pass approaches. The views from the 1.5-3.5 mile section are the most spectacular, as the ridge is now flanked by Forest Canyon down to the left and Cache la Poudre Valley to the right. 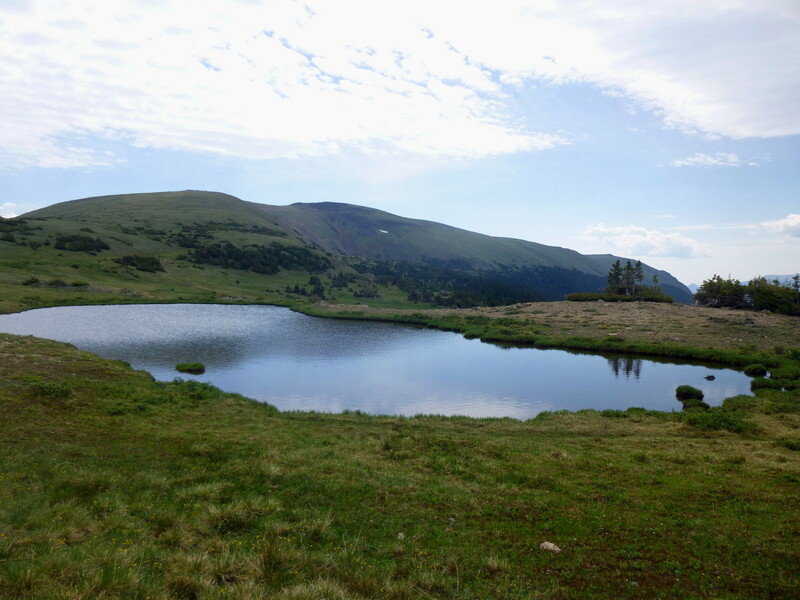 At around 2 miles in, the first pond appears, coolly reflecting the 12,000-foot peaks beyond. Turning to face 8 o’ clock or so, one can spot cars on Trail Ridge winding their way across the tundra to and from Estes Park. After stopping here for some photos or a snack, the trail continues past several more small ponds (if there is a drought, perhaps they do not exist). The Continental Divide continues to dominate the skyline to the southwest. 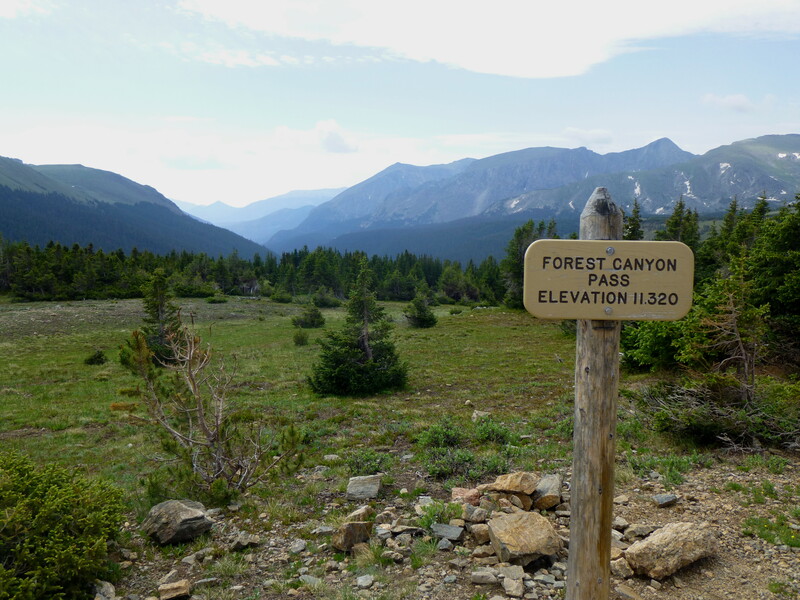 At 2.3 miles, hikers arrive at Forest Canyon Pass (11,320’), 400 feet below the starting point. 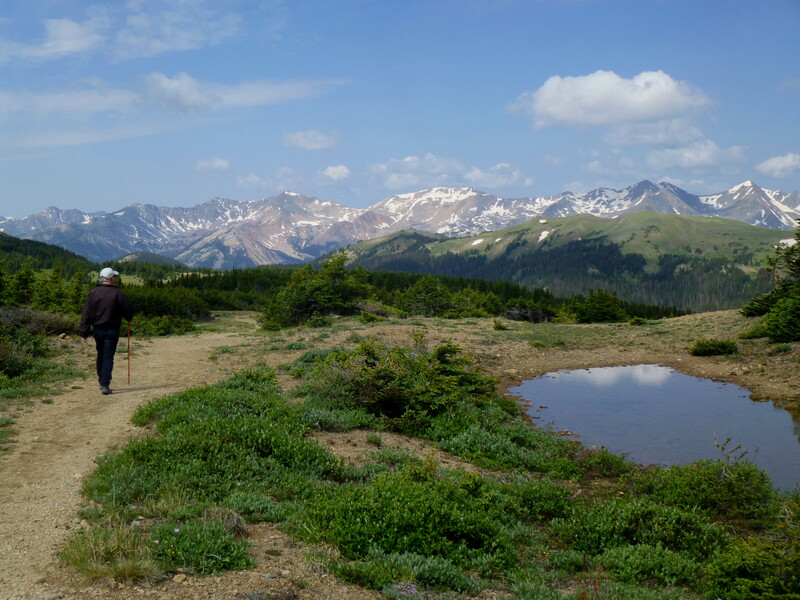 The pass is not the low point between the two watersheds (that comes 0.4 mile farther at the “low saddle”), but it is a general indicator that hikers are halfway down to Milner Pass. It also essentially marks the timberline, as the trees grow significantly taller and denser along the route below. Beyond Forest Canyon Pass, that terrific pine smell becomes much more palpable. Though now below the timberline, there are still significant gaps through the trees, with Specimen Mountain (home to much of RMNP’s bighorn sheep) still easy to discern across the valley. 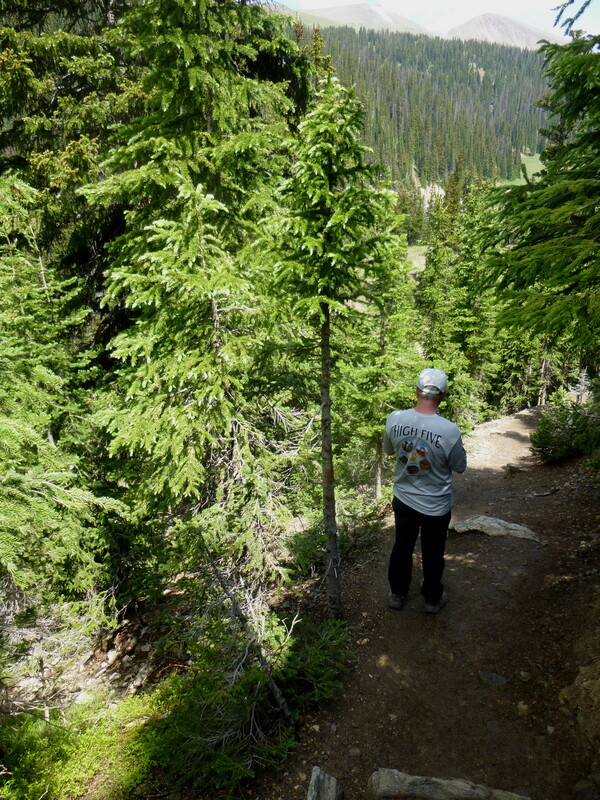 The trail proceeds to skirt down the edge of an unnamed mountain (11,961’), past a couple of small mountain streams. Around 3.5 miles on, the foliage become very dense, obstructing views but also indicating that the junction with the Mount Ida trail (3.8 miles on) is near. At the trail junction (ambitious hikers pass to the left, heading 4.2 mi. 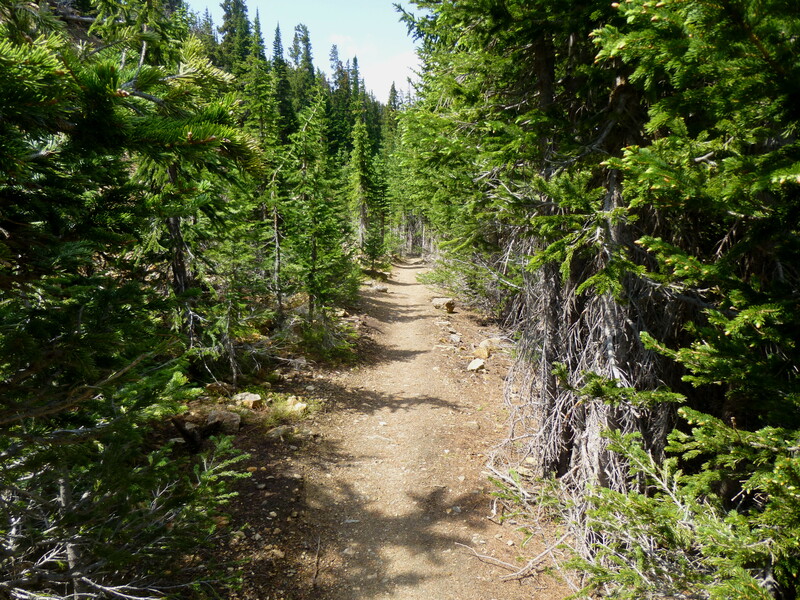 to Mount Ida), the trail abruptly changes course. Now dropping off to the north, the route zigzags down the mountain. From here, the trail must descend some 400 feet over 0.7 mile to Milner Pass (making this the most difficult part if doing the Ute Trail uphill). Turning the corner from the spires, Poudre Lake itself comes into view below. Trail Ridge Road skirts the lake on the far side. 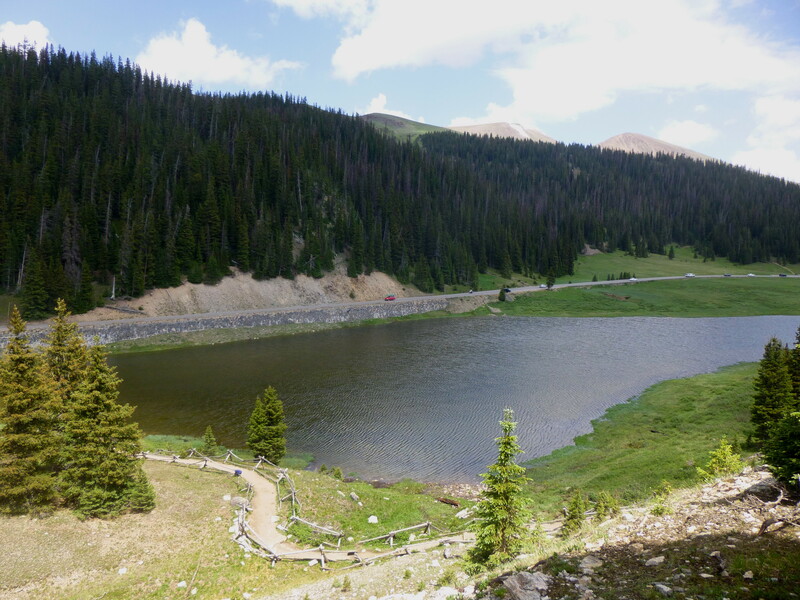 Finally, nearly 4.5 miles on, the trail dips down to Poudre Lake (not easily accessible, as signs note to keep off the surrounding fragile tundra) and spits out—on a wide, well-maintained trail—at the Milner Pass parking lot. 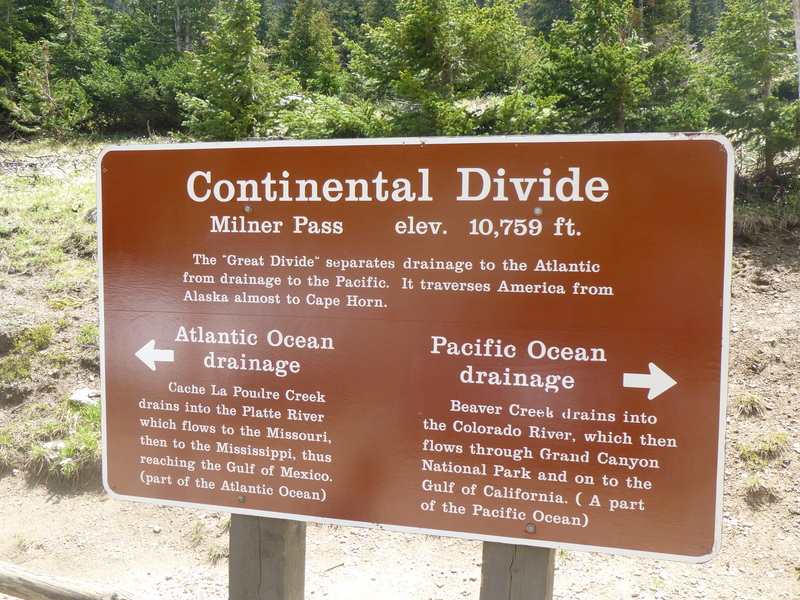 Here you have reached the Continental Divide at one of its lowest points in the park, yet still 10,759 feet above sea level. If fortunate enough to have a pick-up, the hike ends here. If not, trek back the way you came. For the one-way, downhill hike, allot 2-2 ½ hours. For the round trip, expect 5 hours. Extra credit: drive down Trail Ridge Road in the direction of Estes Park to Ute Crossing for a 4-mi. round trip hike along Tombstone Ridge to Timberline Pass. Check out a trail description for that route here. 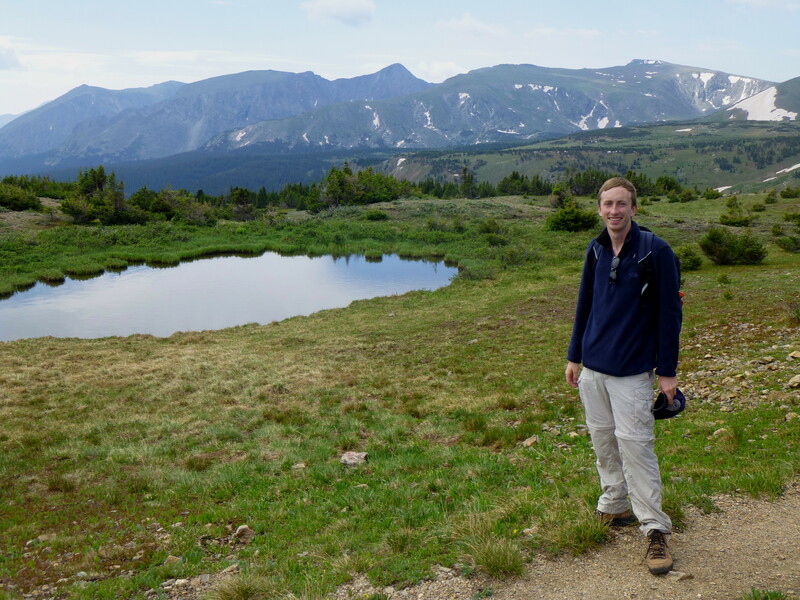 This entry was posted in Colorado, Moderate Hikes, Rocky Mountain National Park and tagged Alpine visitor center, Colorado, Forest Canyon, Forest Canyon Pass, Milner Pass, Never Summer Mountains, Poudre Lake, Poudre Lake spires, Rocky Mountain National Park, Specimen Mountain, tundra, Ute Trail. Bookmark the permalink. Pingback: Летнее Колорадо 2016. День второй. Поверхностный. « Журнал "Рай"